So last week this clumsy girl tripped and sprained her ankle. 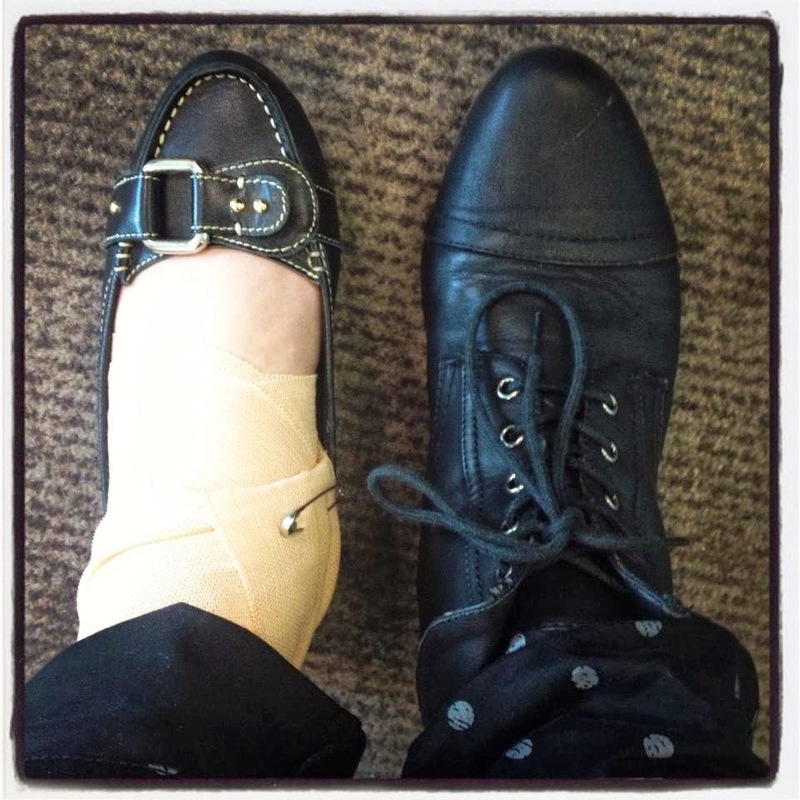 :( Overnight it swelled up so much I couldn't even see my ankle ball and had to limp when I walked. Being the fast-paced and impatient person that I am, I started to get really frustrated at myself as I was moving at the speed of a tortoise. The Boyfriend then decided to "kidnap" me back to his home for some pampering. I was told to rest but I got really bored and my hands started to itch. All I did the whole night after dinner was bug the poor Boyfriend, "I want cake! I want to bake!" "But we got no ingredients and no cake mixer," the Boyfriend responded. I was adamant I wanted to bake and if need be I'd use a whisk and do it manually. Talk about determination! I searched the pantry, fridge, and guess what? Woohoo persistence paid off! I found one stick of butter, sugar, flour, eggs... And a tiny $10 cake mixer from Big W. Well that is a good start! In the fruit bowl, there was pineapple, banana, papaya, apple, mandarins and two oranges. SCORE!!! 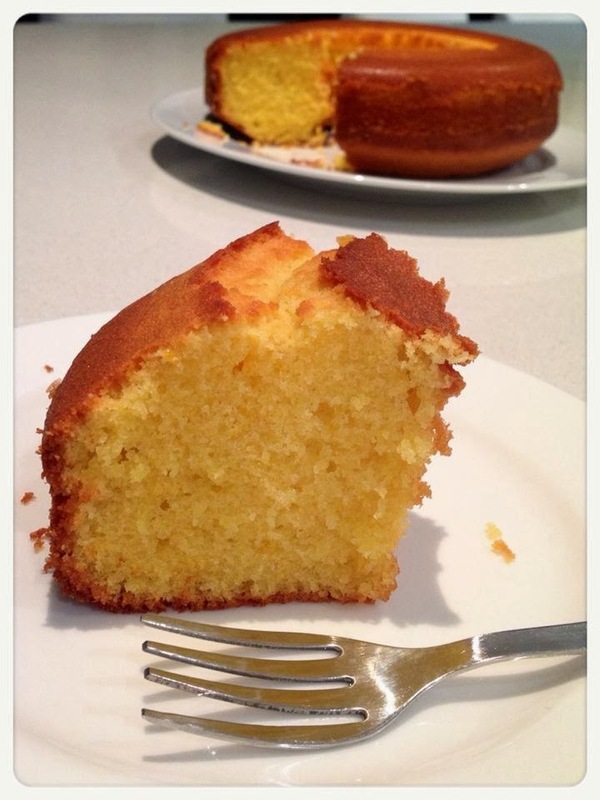 I could make Ellie's (who used to blog at Almost Bourdain) Sicilian Orange Cake that I've been thinking off all week. It was such a simple cake to make although it did take me a little extra while to mix the ingredients given how small the mixer was. I was telling the boy how my Breville mixer would have finished the job in 10 minutes, but I was so happy and satisfied, you have no idea. Despite how simple it was, the cake turned out fantastic and goes so perfectly well with tea. The Boyfriend gave me the big thumbs up and there I was beaming from ear to ear. It was moist, crumbly and so satisfyingly delicious! :D But what I loved most was the citrusy aroma - so so fragrant! One of my friend already baked this cake the following day and commented that her dad (who doesn't usually eat cake) had 4 huge slices just as soon as the cake was fresh out of the oven. Using an electric whisk, cream the butter and sugar together for 5 minutes until very pale. Beat in the eggs, one at a time, beating very well between each one, if necessary adding a spoonful of flour with the last egg to prevent the mixture from curdling. Beat in the orange zest. Add the flour all at once and mix in well, then slowly mix in the orange juice. Spoon the mixture into the prepared tin and bake on the middle shelf of the oven for 45 minutes or until a skewer, inserted into the centre of the cake, comes out clean. If it starts to brown too quickly, cover loosely with a sheet of lightly buttered foil. 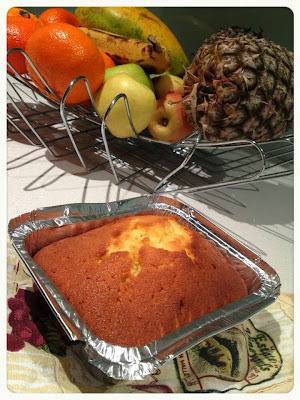 Leave the cake, in its tin, to cool on a wire rack, then carefully remove and place onto a serving plate. I skipped the icing but if you like it sweeter, sift 125g of icing sugar into a bowl and stir in approximately 5 tsp orange juice until you have a spreadable consistency. Spread it over the top of the cake, letting it drip down the sides, and leave to set. It looks yummy. Would try baking it! :) Did the cake become dry after you put it in the fridge? I'm so sorry about your injury! Your BF is so sweet to pamper you. :) Your Sicilian orange cake looks so moist and delicious. I love citrus flavor in baked goods! Hope you're feeling better babe ;) Hahaha you should like me when you're determined to BAKE you will find ways to bake! Nathalie, please do try! ;) I didn't keep it in the fridge though, just at room temperature in airtight container. It did get a little less moist by day 3 but still yum. Nami, he is really nice! :) you need to try this cake - so super simple! Daisy, promised I'll make it for you so I will!! awww get well soon dear! i love spontaneous baking!